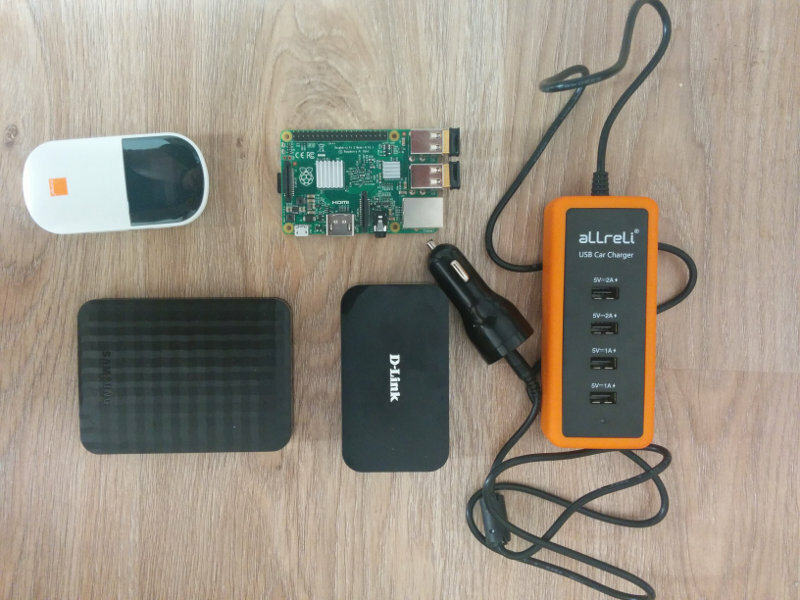 Once the Carpi project was on the way, I started to collect the hardware I needed. 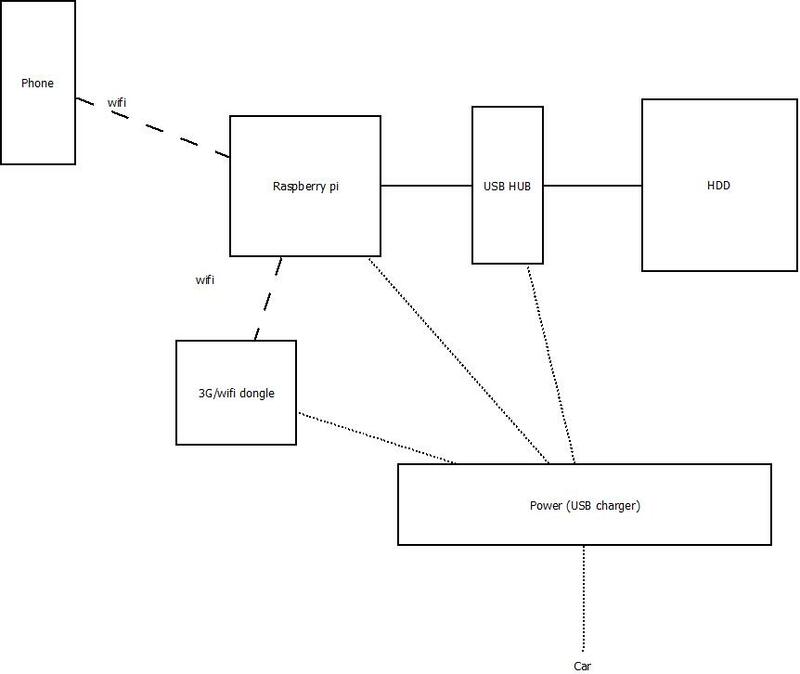 To have a mobile raspberry pi with large storage in the car, I needed: Raspberry pi with wifi capability, power supply, hard disk, optional 3G capability. 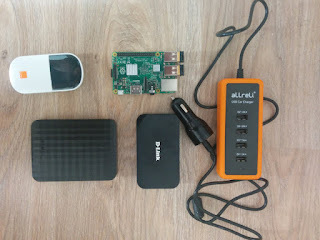 I had most of it at home except the Raspberry pi and power supply which needed to be pretty powerful to provide 2A to the pi, 1A to the disk, and power the other peripherals. I didn't go for the cheapest option every time, I often chose the available or fast delivered one. 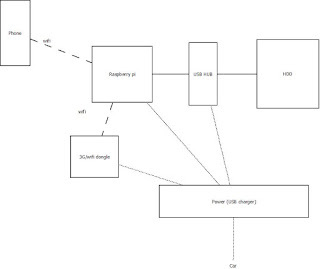 Optional: to avoid having to shutdown the Carpi before cutting the power and avoid potentially corupting the memory card, a small battery system with GPIO notification on the pi would be needed. This is scheduled for phase 2.